We would like to introduce you to the owners and employees that make Dr Roof one of the best roofing, eavestroughing, soffit, fascia and siding companies in the city of Winnipeg. 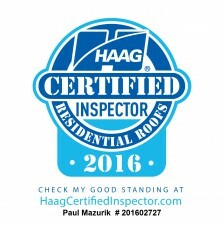 Dr Roof and their staff are very proud of the quality workmanship and services they have been providing their customers in Winnipeg and the surrounding areas for over 20 years. The owners and staff look forward to being of service to you in the near future. Paul started in the roofing industry in 1983. By 1986 he was running his own small company and by 1996 the company had evolved into what is now Dr.Roof Inc.
Paul has raced motocross since 1978 and he still competes along with his two sons and daughter today. Paul has also coached boxing and basketball at the community club, junior high and high school levels. Foster dad to a mastiff mix called Scarlett, a boxer mix called Cricket, and a northern mix called Nibble. Also fosters groups of puppies for NHARN (over 20 pups yearly). Norm has been involved in the roofing and aluminum industry since 1989 and has been in the construction and home building industry since 1976. Norm joined forces with Paul in 1999 to form what is the current version of Dr. Roof. Norm still enjoys playing hockey. He also likes to downhill ski, golf and spend time with his family. Al has been in the construction industry his entire life. 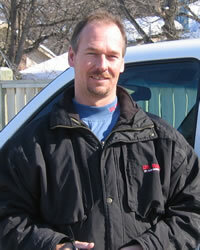 He has extensive knowledge and hands on experience in roofing, eavestroughing, soffit & fascia. He is proficient in all aspects of home building including framing, electrical, plumbing and finish carpentry. Al is an active outdoorsman who enjoys hunting, fishing and downhill skiing. He also enjoys home renovations. 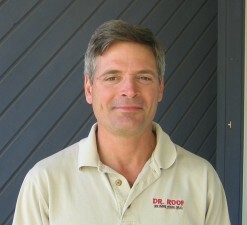 Justin started working for Dr Roof in 2013 and brought with him several years of roofing experience. Justin is learning the Dr Roof way under Dave & Brent’s tutelage and is well on his way to becoming a top quality shingler. Justin likes to play guitar in his spare time. We would like to welcome Michael back to Dr Roof for the 2017 season. Michael has been in the roofing and construction industry for a few years and worked for Dr Roof back in 2014. Working out and renovating his home. Germaine joined Dr Roof for the 2016 season. He is new to the industry and we look forward to teaching him the skills required to be a valuable asset to our company. Ben joined Dr Roof for the 2017 season. He is new to the industry and we look forward to teaching him the skills required to be a valuable asset to our company.